Marco Pinna’s PhD thesis (he got his degree in November 2009) has been now published as a book by German publishing house VDM Verlag Dr. Müller. VDM describes the prize-winning book on its blog. 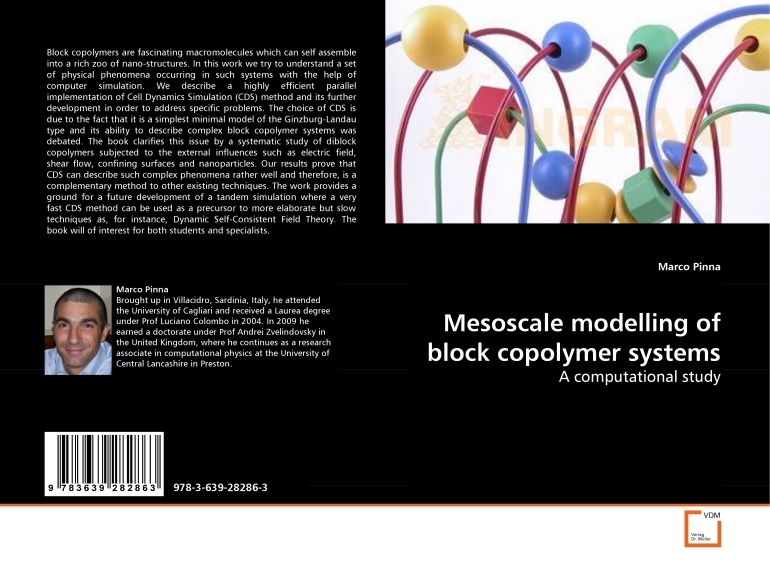 M. Pinna “Mesoscale modelling of block copolymer systems: a computational study”, VDM Verlag Dr. Müller, Saarbrücken (2010).